Rock stars have been smashing guitars for decades and few with more enthusiasm than Swedish-born guitar virtuoso Yngwie Malmsteen. 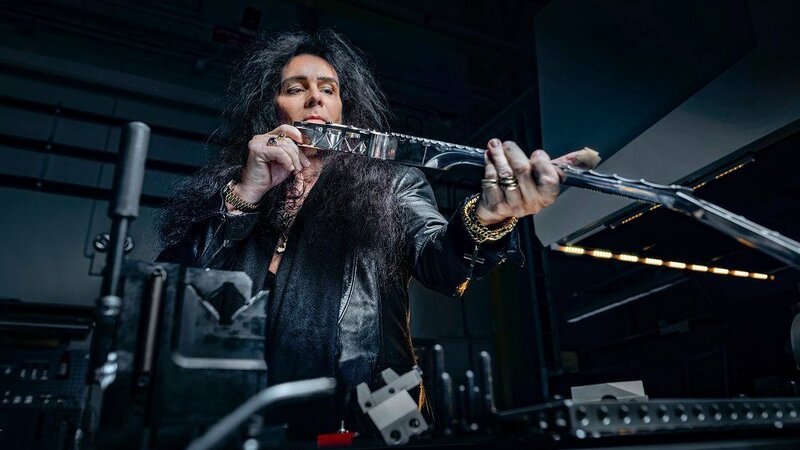 Sandvik, a global engineering company, decided to test their cutting-edge techniques by building the world’s first all-metal, unsmashable guitar and letting Malmsteen unleash his demolition skills on it. Can a rockstar known for the fury he unleashes on his guitars smash a guitar 3D printed to withstand even the most motivated destroyer? That’s the question Sandvik, a world-leader in material innovation and manufacturing, asked. 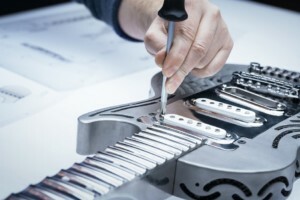 To answer, the company engineered a beautiful smash-proof guitar made of metal to demonstrate how advanced, precise and sustainable its techniques are. Malmsteen, a master of neo-classical heavy metal who has produced 30 albums and has been smashing guitars onstage for over 30 years, was the perfect person to test the guitar. 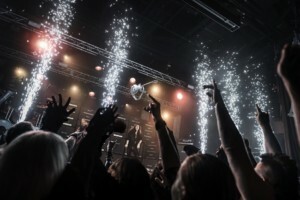 The result, as you can see from the video below, where Malmsteen plays the guitar in front of an excited crowd at a rock club outside Miami, is that they succeeded. To create their masterpiece, Sandvik engineers teamed with renowned guitar designer Andy Holt, of Drewman Guitars. They tried to match Malmsteen’s exacting musical standards and his lightning-fast playing style. “We’ve had to innovate from the top down. There’s not a single part of this guitar that has been made before. It’s a piece of art, really,” Holt said. The weak point in any guitar is where the neck joins the body. Sandvik solved the problem by milling the neck and the main hub of the body as one piece. “You could use the guitar as a hammer and it wouldn’t break,” Holt said. Several divisions at Sandvik collaborated to make the instrument. For the guitar’s 3D printed body, the company relied on its world-leading expertise in metal powder and additive manufacturing. They used lasers to trace a design in beds of fine titanium powder, fusing layers of material one on top of the other. By adding layer after layer of the metal — each thinner than a human hair — they built up the body of the guitar. The guitar’s neck and fretboard were machined by Sandvik Coromant from a solid block of recycled stainless steel. The next challenge was to strengthen the fret and neck as they extended into the guitar’s body. That solution took the form of a new super-light lattice structure sandwiched between the guitar’s neck and fretboard. Made from hyper-duplex steel, a recent Sandvik innovation, the lattice structure is the strongest in the world for a given weight. 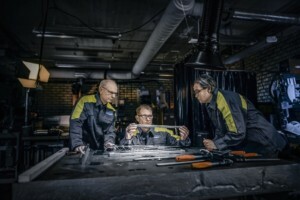 To see exactly how Sandvik created the world’s first smash-proof guitar, check out the video below or visit this page for more information. License: The text of "Sandvik Challenges Rocker to Break Its Smash-proof 3D Printed Guitar" by All3DP is licensed under a Creative Commons Attribution 4.0 International License.